Ursula aka The B.R.O.A.D. (Babe Riding Out A Dream), set out in February 2013 to live off her motorcycle, work from the road, and see the country; a gypsy – a nomad. 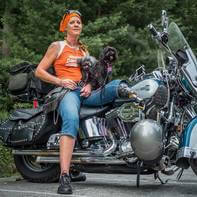 In her first six months on the road, she had a great many adventures and was really just getting into the groove of living life from the back of a Harley. Her small business was growing, her dream flourishing, and her love of meeting people expanding. 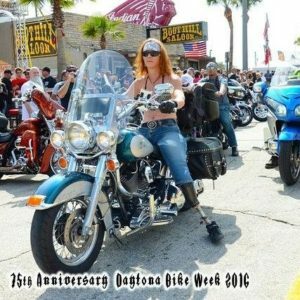 In July 2013, while in Minnesota, heading towards Sturgis, Ursula was hit head-on by a motorist trying to pass a semi on a curve. As a result, she endured some near fatal injuries and yet managed to bounce back to life albeit missing part of her left leg. 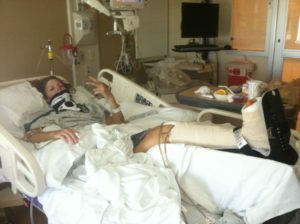 Her tragedy, recovery, and unwillingness to quit has brought The B.R.O.A.D. back to the motorcycle community with a vengeance. 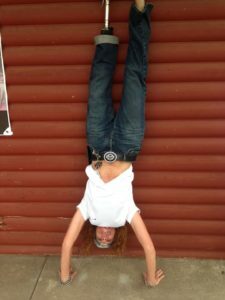 While her adventures still abound and her business continues to grow, she has taken on many new roles; often this includes counseling amputees and their loved ones, fundraising for amputees, sending 50Legs more recipients, and finding new roads she’s never seen before. Follow Along!